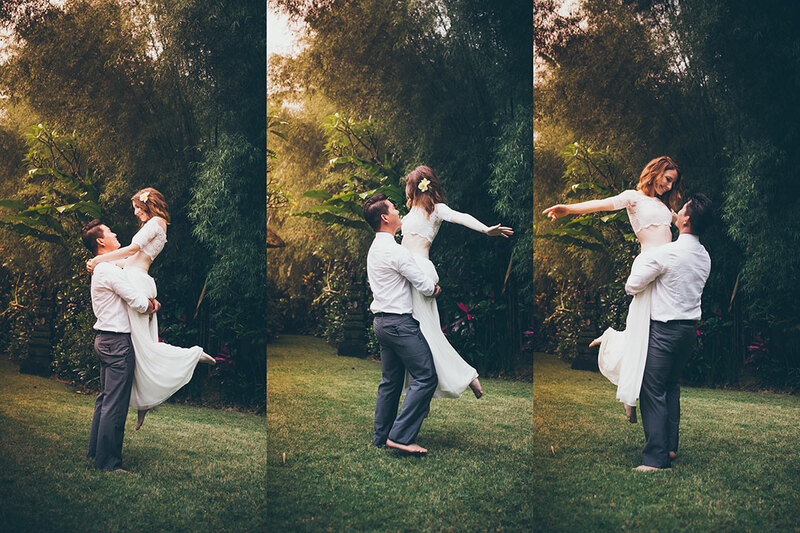 BALI ELOPEMENT WEDDING - All you need to know. 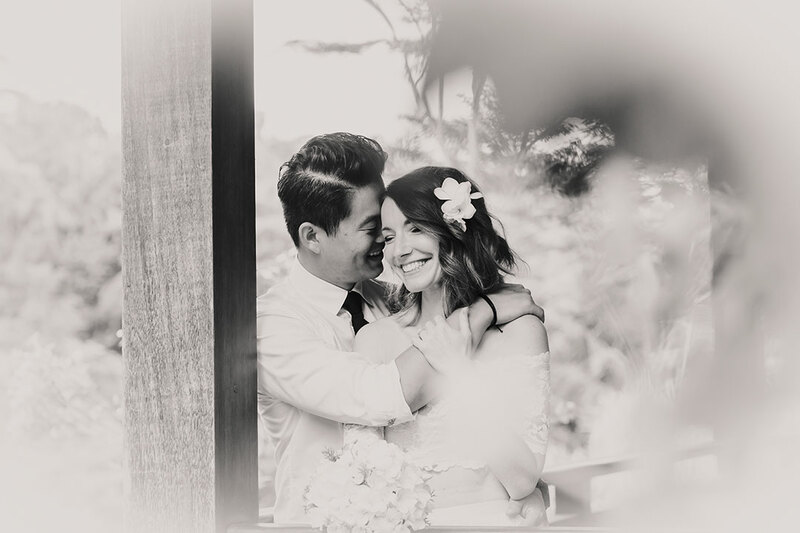 BALI ELOPEMENT WEDDING - All you need to know. 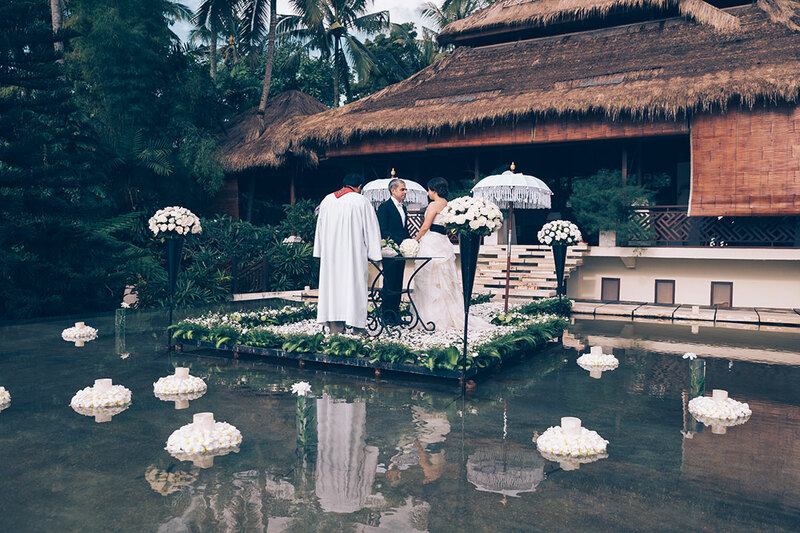 Every month about 200 – 300 couples from across the globe come to Bali to have an elopement wedding here. 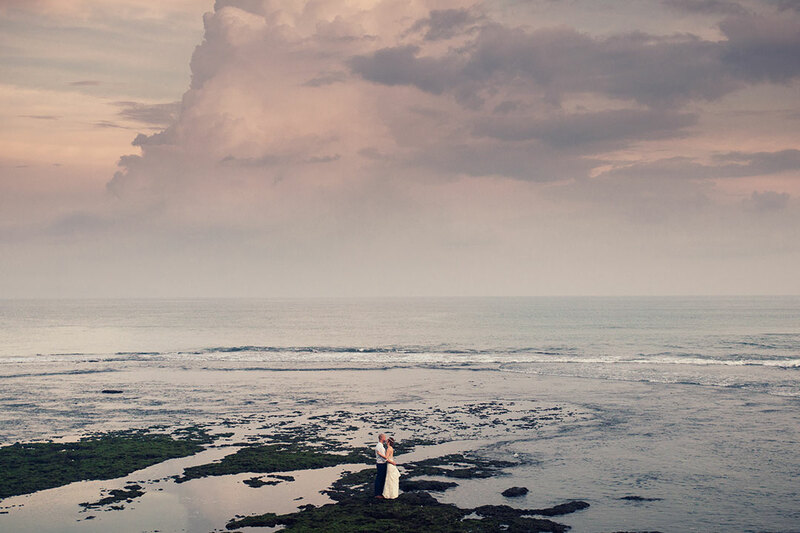 Saying that Bali is popular for elopement weddings is, therefore, an understatement. As the chairwoman of the SOCIETY OF BALI WEDDING PROFESSIONALS receive a constant stream of questions surrounding the topic of Bali elopements. How much is an elopement wedding in Bali ? 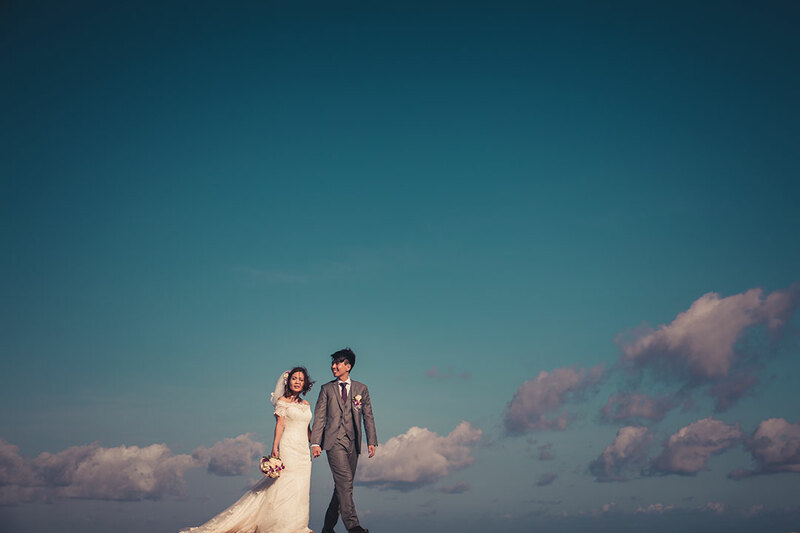 How difficult is it to have an elopement wedding in Bali ? What is the best places in Bali for an elopement wedding in Bali ? Will my wedding in Bali be recognized back in my home country ? These are just a few of the most common questions I receive from brides and couples whose dream it is to have a wedding for two on our wonderful island of Bali. Not to worry aspiring brides and grooms! I am gonna lay it all out for you. 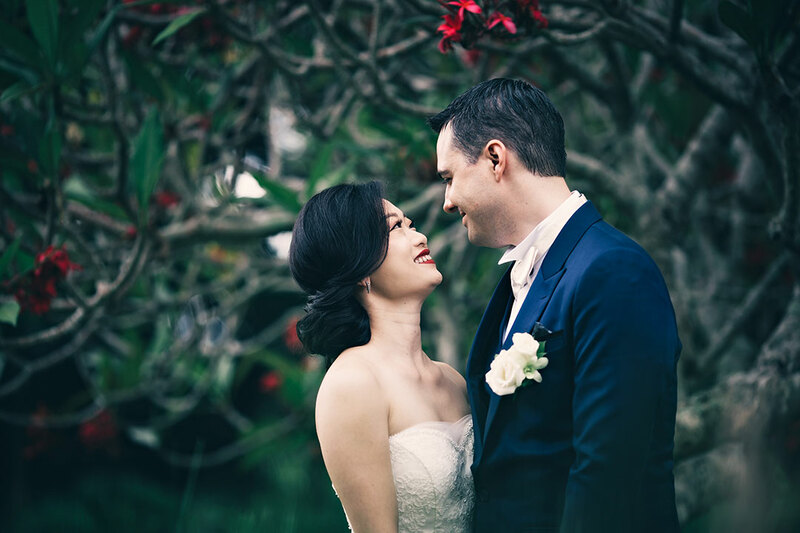 I am going to share with you all you need to know about elopement weddings in Bali. DISCLAIMER: This article is not strictly about elopements ONLY. The information I am sharing with you is also for those wanting to have a small wedding in Bali. And by small, I mean weddings with under 6 - 8 guests. 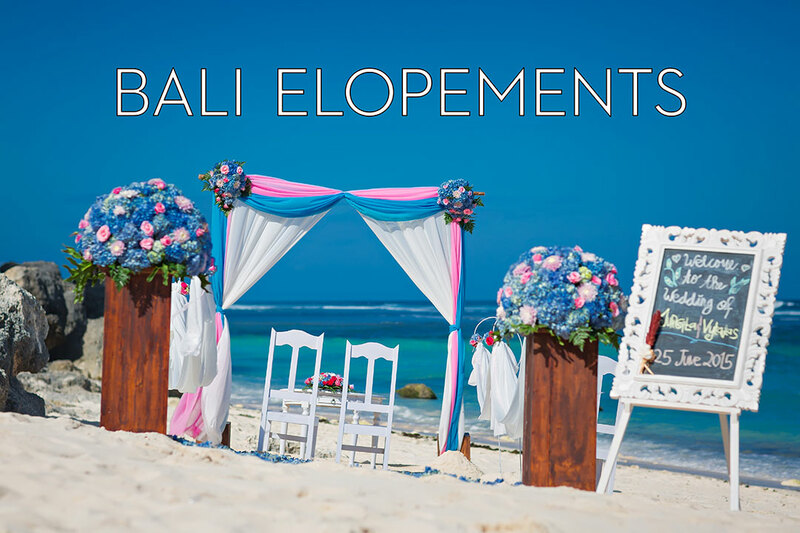 BALI is the perfect destination for elopements ! Let me first share a true story about a couple from the U.K. who were planning on having an elopement wedding in Bali. The names of this couple have been changed to protect their identity. We’ll call them Monique and Robert. For Monique and Robert Bali holds a special place in their heart. A place they had visited together many times in the past. And also, the place where he proposed to her. 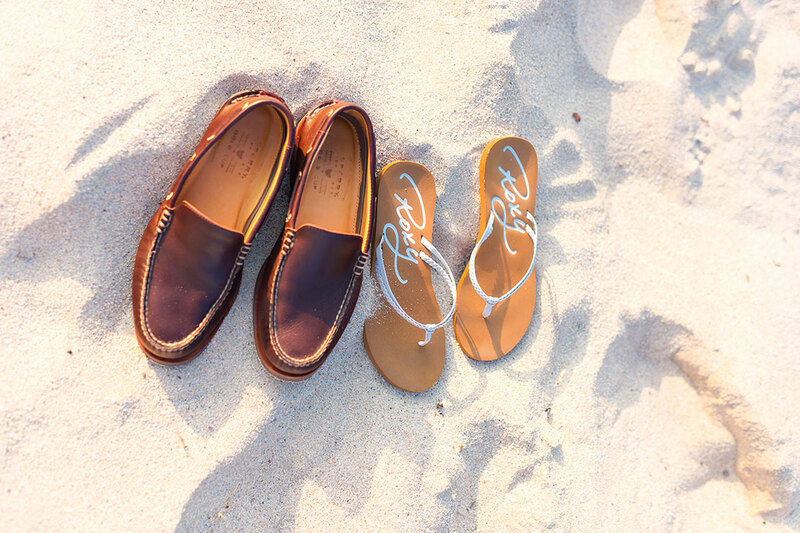 What our lovely couple was after was a truly posh, 5-star wedding in Bali. Pure indulgence it had to be. And they found the perfect hotel where they booked the hotel’s honeymoon suite, a cozy villa overlooking the South Pacific with legendary sunsets. All part of the all-inclusive wedding package they got from the hotel. Hotels are not good wedding planners ! Monique and Robert asked the hotel’s wedding coordinator if the hotel could arrange a legal wedding for them. No problem they hotel said. They promised to process all the documents in Bali. Monique and Robert set their wedding date and paid their required deposit. They did all this many months ahead of the wedding. A good idea. Eight weeks before the wedding the hotel contacted them asked them to submit the required documents for a legal wedding in Bali. Monique and Robert sent copies of their passports, certificate of non-impediment and a few other documents. About two weeks later our couple was told that they would need to fly to Jakarta, Indonesia’s capital 1500 km away and stay there 4-5 days. This was necessary because the bride was a citizen of the Philippines. And for Philippine citizens and citizens of a few other countries, it is necessary to personally come to their embassy and get the paperwork processed. Our lovely couple had only 7 days and everything in terms of flights and accommodation was already booked and paid. Going to Jakarta for 4,5 days was out of the question. They were shattered. Would they need to cancel their wedding plans? More on this later. Another thing that turned out differently from what they expected was their wedding photographs. Besides photos of the wedding ceremony Monique & Robert also wanted to have photographs taken amid some of Bali’s most beautiful scenery. Therefore, they booked one of Bali’s finest wedding photographers who offers engagement photography and photo tours around Bali. They did this photo tour two days before the wedding because they did not want to do this on the same day as the wedding. On the wedding day, they already had a photographer who came as part of the package they got from the hotel. They were in for some surprises… and that is, to put it mildly. I’ll let you know the happy end of this story at the end of this article. 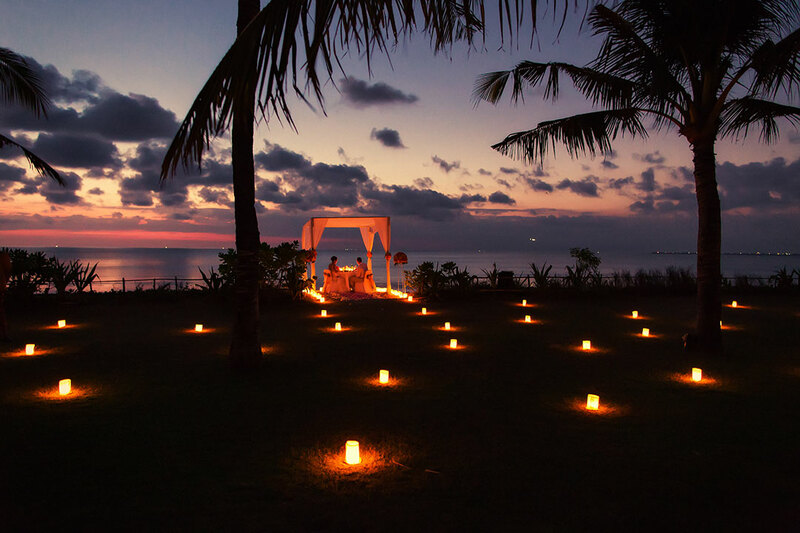 The first thing you should decide is what kind venue you would like to have for your elopement wedding in Bali. Not an easy question to answer considering that you have in excess of 100 or even more possible venues for your wedding ceremony Bali. Let’s look each of these in detail below. From secluded black sand beaches to white sand beaches and beaches with spectacular rock formations – Bali has it all. Please bear in mind though: there is no such thing as total privacy for a beach wedding. Why ? Because in Bali all beaches are public. Nobody, not even hotels can claim a beach for their own. 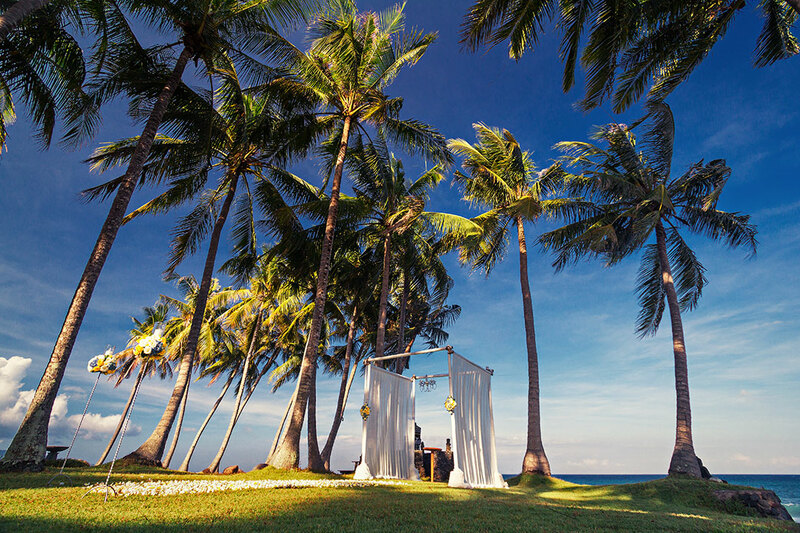 However, there are still many options for beach weddings in Bali available which offer you a high degree of privacy. To find out which beach is best for you I recommend you talk to your wedding planner. Going to a hotel directly may not be your best option. Why ? Because many hotels advertise beach weddings which in actuality are not beach weddings because they usually take place in the hotel’s garden facing the beach. In many cases 50 – 100 meters away from the shore and not on the sand. Also, they fail to tell you that their beach can get quite crowded with other hotel guests. 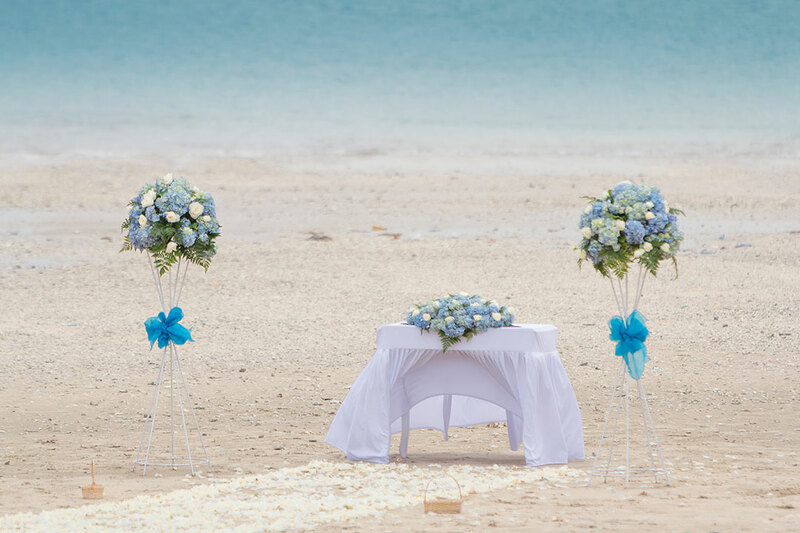 Although there are some hotels who cordon of the parts of their beach during your wedding. Many couples who choose Bali as the destination for their elopement wedding do so because of our lush tropical green environment. The beautiful gardens and the abundance of flowers and greenery. Many such tropical garden venues are in the Ubud region, but there is also a wide selection available in Seminyak, Canggu and other areas in Bali’s South. If you already have set your eyes on a particular hotel or a particular villa then you will probably not need a wedding planner. The hotel/villa can do all the necessary arrangements for you. But make sure to choose your own photographer and makeup & hair. If on the other side you need help in finding the perfect garden wedding environment then you may want to engage the services of a wedding planner who can assist you in finding your dream location and help you to choose among hundreds of options. Bali has over 20 wedding chapels. However, the majority of those chapels are more suited for larger weddings. And the price for renting a chapel for your elopement wedding in Bali will be the same as if you bring 20,30 or more guests. That makes having an elopement wedding in a chapel in Bali a bit more on the expensive side. But there still many couples who chose to have their small wedding in one of Bali’s chapels. Please note that all chapels in Bali are commercial buildings – not public churches. Most chapels are part of a hotel / resort. Cost for Chapel wedding range from 1000 $ – 5000 $. Again, be careful with all-inclusive packages as the included services are often of poor standards. For example, you may get just a so-so photographer or a just a junior makeup artist /hair stylist. If the chapel you wish to get married at does not allow you to bring in your own photographer, videographer and/or makeup artist better stay away and choose another chapel which allows you to choose your own vendors. Bali as a holiday destination is well known for its spectacular villas. From small bungalow style villas to large estate like villas which can accommodate 10 or more people. It is fair to say that nowhere else in the world can find some many villas and for such low prices. For elopement weddings, basically any villa with a small garden is suitable. Often the villa itself may not be able to arrange for the wedding. 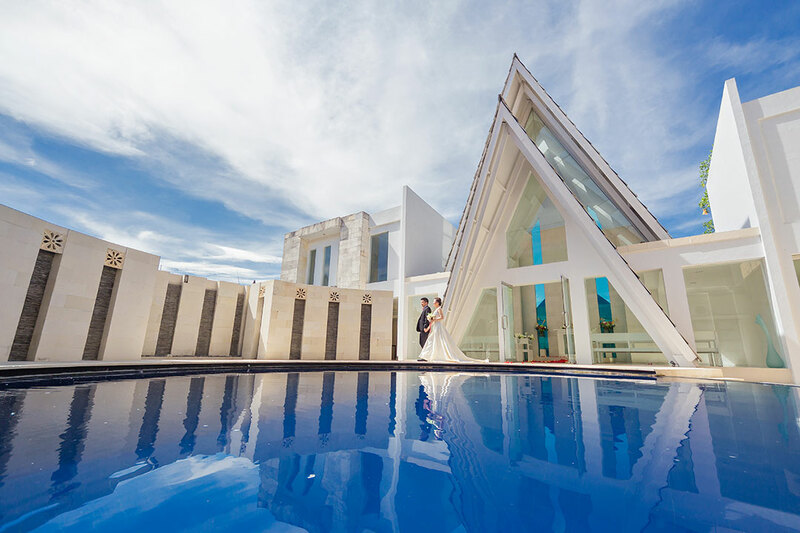 Some of those villas may say they can arrange the wedding for you but because they may not be very experienced with weddings the planning process may not be smooth. Also, be careful with vendors the villa may suggest for you. Because their network of vendors may be small and their recommendations may not be what you have hoped for. That is where an independent wedding planners or wedding organizer comes into play. Such company can take care of the priest, the legalities of your wedding and help you to find the right vendors. One of the questions you will need to ask yourself is if you want to get legally married in Bali or not. What do I mean by that? 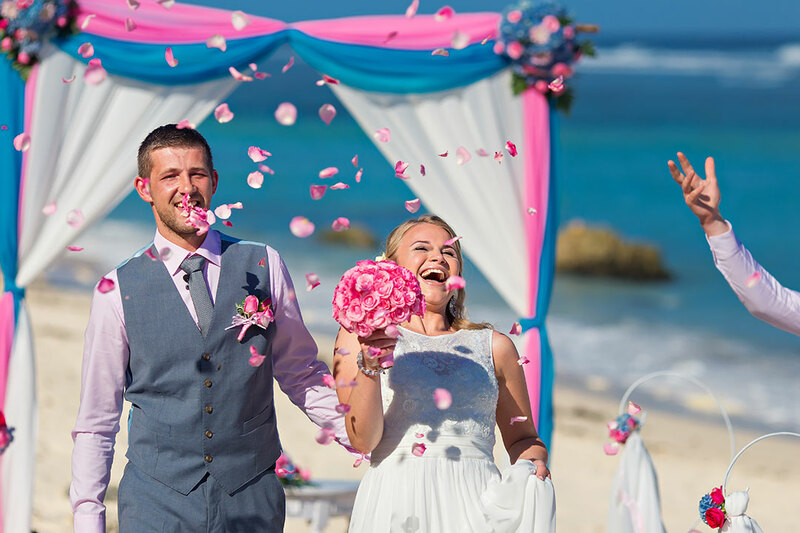 A legal wedding in Bali includes all the paperwork required to make your wedding valid and officially recognized in your home country. Alternatively, you can do the paperwork back home and do a blessing ceremony instead in Bali. Just a symbolic wedding. Which one is for you will depend on your preferences and circumstances. Going by the numbers about 25% - 30% of couples getting married in Bali choose to have a full legal wedding. Whereas most couples opt for blessing or commitment ceremony. It is hard for me to make a recommendation about having a legal wedding in Bali or not. Generally, though it is fair to say that doing the paperwork in your home country should be easier and often cheaper. Though not by much. Citizens of the following countries may not want to have a legal wedding in Bali. Singapore, Malaysia, Philippines and few others. Why ? Because it is a big hassle as you need to personally go to your embassy in Jakarta and take care of your paperwork there. If you are from one of the following countries: SINGAPORE, MALAYSIA, PHILIPINES then you may want to read this. Many hotels and also independent wedding organizers in Bali offer all-inclusive packages which include the venue, the décor, the ceremony, makeup & hair services, a photographer, a cake and dinner and possibly more. Why did I tell you to be careful? Because often the included services may not be of the quality you expect. If the quality of your wedding photos is important for you, you may want to choose your own photographer and not rely on what comes as part of your package. Packages that do not allow you to bring in vendors of your own choosing should be avoided at all cost. You will almost inevitably end up feeling disappointed. 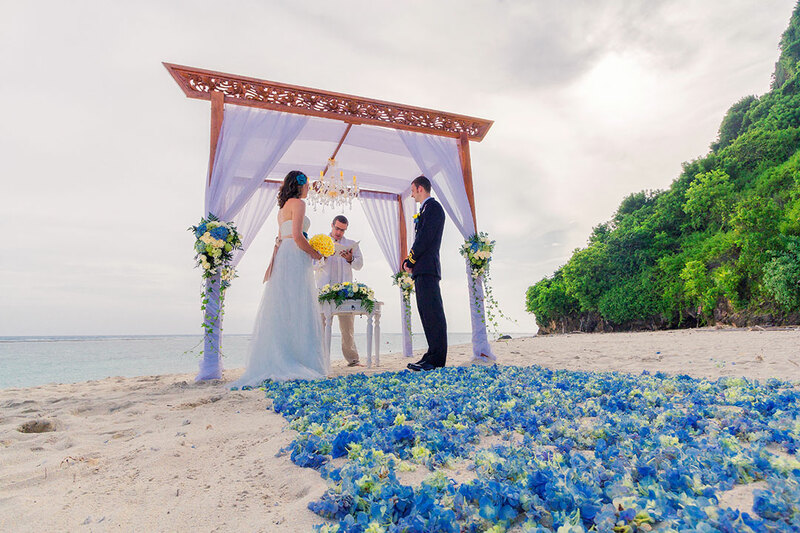 Do you need a wedding planner for your elopement wedding in Bali ? Well, it depends. If you have already decided on a particular hotel or a villa where you want to get married at you may not need a planner. 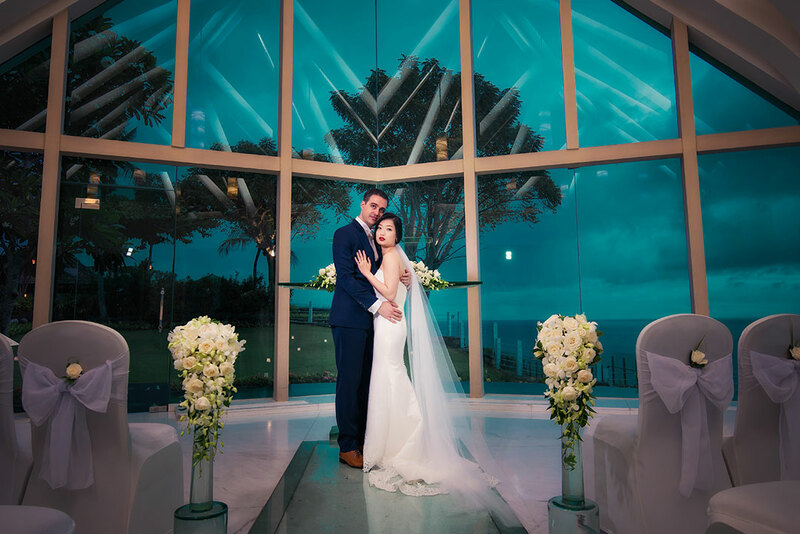 If on the other side you want a dependable partner in Bali who can show you the available options for venues and who can plan your big day in detail then you should consider engaging the services of a wedding planner. Such a wedding planner can meticulously plan all the details and find the right vendors for your big day. Yes, engaging a wedding planner involves cost. But in many cases, couples who had a planner ended up paying less for their wedding. Especially when you are a busy individual. Because planning and arranging your wedding yourself can take a lot of your time. 50 – 100 hours on average. A good wedding planner can cut this time down significantly for you. And safe you also a lot of potential headaches. Avoid the period of December and January. In particular, try not to have your wedding during Christmas and New Year. Why ? Because this is the height of the rainy season and there is a very good chance that it will rain on the day of your wedding. And secondly because during X-mas and New year Bali is very full of tourists. Which leads to congested traffic conditions, over priced hotel rates and other unpleasantries. Because when you come back home you will want to proudly show photographs of your wedding to friends or family. Or announce your marriage on Social Media like Facebook or Instagram. And because you will want to have a good record of your big day in Bali, which many years down the line you will show to your children. 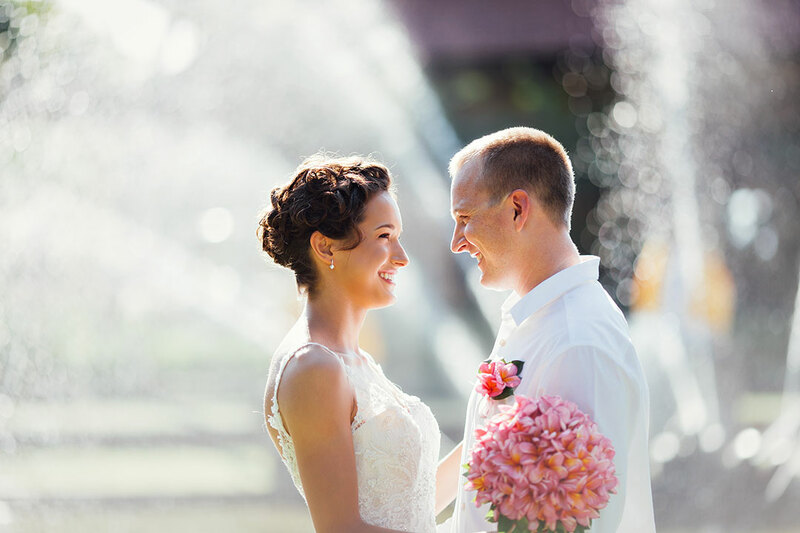 You may want to consider combing your elopement wedding with a photo tour. During such a photo tour, your photographer will bring you to some scenic spots in Bali and take photographs of you in some of Bali’s most beautiful environments. In that case, you may want to consider having your ceremony earlier in the day and spend the later afternoon and the sunset for gorgeous photographs. Consult with your photographer about available options. You can also drop me an email and I will help you find a professional, good wedding photographer. How to save money on your Bali elopement wedding ? Do the legal wedding & the paperwork at home …. 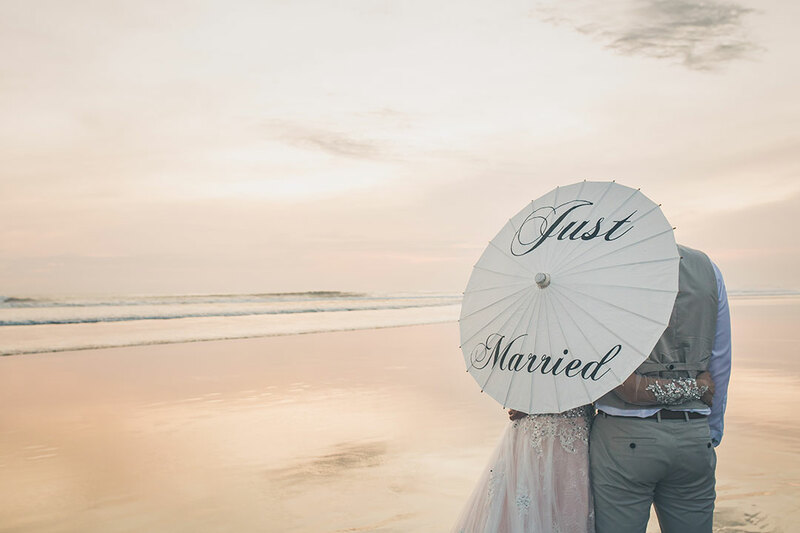 The cost of processing the paperwork to make your Bali elopement wedding legal and recognized in your home country will be between 400 – 800 USD. Depending on who helps you with that and which country you are from. Also, skipping the legal wedding may save you some of your precious time in Bali. Especially if you do not have many days in Bali. 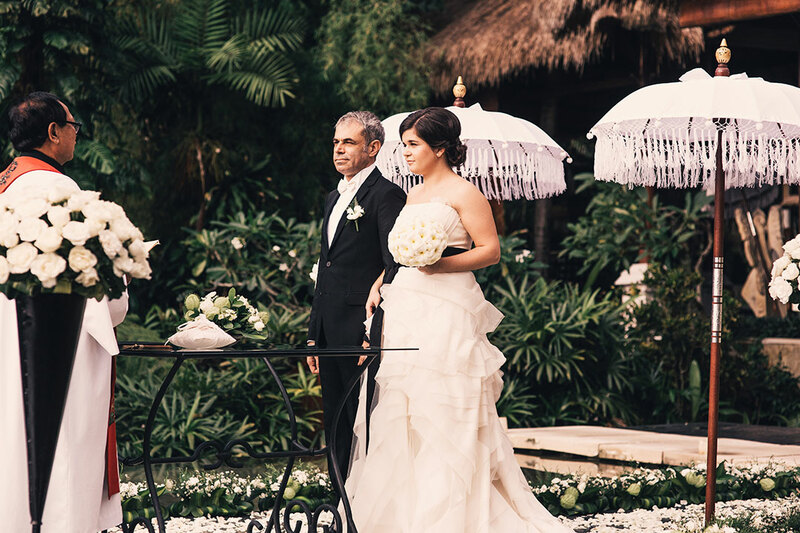 Because for a legal wedding it will be necessary for you to visit your consulate in Bali. Which could cost you half a day. Half a day that you could otherwise spend on enjoying and/or exploring all that our wonderful Bali has to offer. During that time flights, accommodation and even wedding venues tend to be cheaper. I recommend the months of March and April. Or September and October. Are you a couple of mixed religion, mixed citizenship and other things that can make it difficult for you to get married in your home country ? Do you hope that by getting married in Bali you can avoid the hassle which you would have back home? I am afraid I have bad news for you guys! Bali is not Las Vegas !! 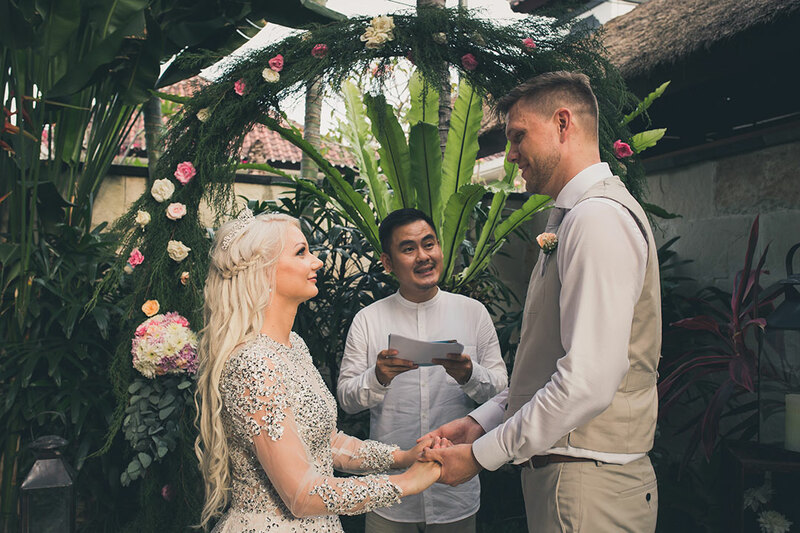 The rules you need to follow for getting legally married in Bali are most likely stricter or more complicated than in your home country. In the best case, the paperwork will be the same. What it boils down to is: If it would be difficult or impossible for you to have your wedding in your home country it will be even more difficult in Bali. If you want to have a really cheap wedding. While Bali is certainly less expensive than Western countries it is no longer the ultra-cheap destination it once was. On the contrary, Bali has gotten relatively expensive in recent years. Especially if you want quality and good services. Prices for wedding venues, good vendors, nice hotels, etc. are still relatively affordable but there are cheaper destinations guys. And one thing is especially true in Bali: You get what you pay for. If it looks too cheap it probably is. If you wanna get married quickly. Some couples cannot wait to get married and think that Bali is easy and quick. Nope, it ain't. In 95% of all cases, it would be faster and easier to have your wedding back in your home country. Having a wedding in Bali requires your papers to be submitted to your consulate or embassy and that can take time. Also planning a destination wedding is usually more time-consuming than having your wedding back home. For a wedding in Bali plan and arrange as early as you can. If you are an Atheist or you do not want to have a religious ceremony. Indonesia is a very religious country. And religion plays an important and prominent role here. Therefore, it is inconceivable for Indonesians to have a wedding that does not involve religious rites. In fact, the Indonesian marriage law stipulates that a wedding always goes hand in hand with a religious ceremony. To make things even a bit more complicated: to get legally married in Bali both marriage partners need to be of the same religion. However, unless you are ‘religiously atheist’ and you do not mind having a religious ceremony performed then there are ways to get married in Bali anyway. How ? Please leave a comment below and I will email you with more information on how to do that. 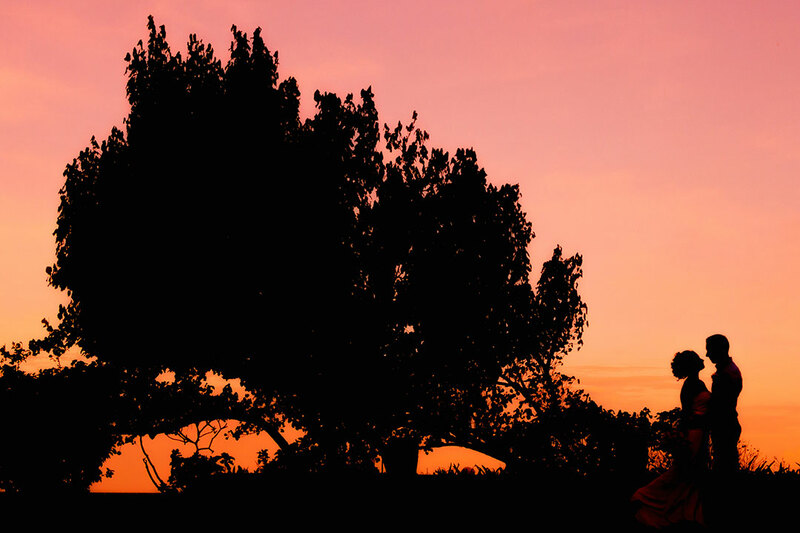 Or you may want to explore the following: Buddhist Weddings in Bali. Remember they were supposed to travel to Jakarta for 3-4 days to personally show up at the Philippine embassy and get the papers required for a legal wedding processed there. But spending half of their holiday in Jakarta was out of the question. They opted to have a commitment ceremony in Bali instead. And it was a beautiful ceremony, just as they had dreamed it to be. It felt the same.. it looked the same… Same as a legal wedding. As for their legal wedding: Fortunately, our lovely couple had scheduled a visit to the bride’s home country and it turned out to be much easier to take care of the paperwork there. Would they have hired a good wedding planner they could have avoided all the headache and panic that arose from the fact that the hotel’s so-called wedding planner did not know. Therefore, make sure that if you want to get legally married in Bali you know about the necessary procedures. Ask if you can get your papers done via your country’s consulate in Bali. Or in case the papers need to be processed at your embassy in Jakarta make sure that someone can do this on your behalf without you needing to go to Jakarta. Some countriy's embassy allow that, some don't. Your wedding planner will know. So that you two can be sipping Martinis on a beach in Bali while the paperwork is processed. The other thing which was not quite what they were expecting were the wedding photographs. The wedding package which they had chosen from the hotel already included a photographer for 2 hours. But when they received their photos they were utterly disappointed. What they got were boring ‘standard clicks’. Not one single photo had a ‘wow factor’. 500 or more uninspiring photographs. Merely snapshots. These photographs did not do justice to the wonderful wedding ceremony they had. Those were not photographs they would want to share on Social Media or show family and friends. But there is a ‘happy end’ to this also. Fortunately, the other photographer who they had engaged for their pre-wedding photo tour cut them a very special deal to also make photos on the wedding day. So Monique & Robert had two photographers on the wedding day. The package photographer and also the photographer who did their pre-wedding photographs. So after the disaster with the photographs from the package photographer they were hoping that the photographs which their pre-wedding photographer took would be better. They had to wait two weeks for the photos from the other photographer. But it was completely worth the wait. Those photos turned out much better than what they got from the photographer the hotel included. After sharing the wedding photos with friends and family on Social media the response was overwhelming. That is why I am cautioning couples about any photographers who come as part of a package. You can explore more about this problem here. What are the next steps for you ? Firstly, allow me to invite you to join our Facebook group: GETTING MARRIED IN BALI. This is a friendly group of like-minded brides and couples who exchange ideas and discuss all things about having a wedding in Bali. That group is private and off limits from the public eye. That way your friends and family will not find out about your wedding plans if they are not supposed to know. There are also several helpful wedding experts from Bali in this group who will help you with your questions. 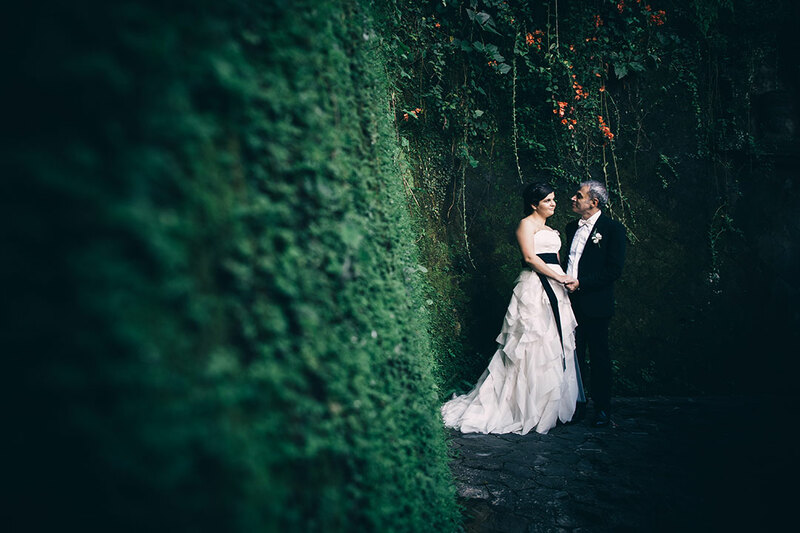 I hope this article was useful for you and you now know what it takes to have an elopement wedding in Bali. As always, if you have any questions please drop me an email. Or leave a comment below. We love hearing from you. I wish a wonderful wedding in Bali. Thank you so much for considering Bali as your wedding destination. In your message you asked about photographers / videographers who ‘know what they are doing’. Francisca, you could not be more spot on about this… Because indeed in Bali there are soooo many photographers / videographers who do not know what they are doing. And we here at the THE SOCIETY OF BALI WEDDING PROFESSIONALS receive a steady stream of complaints from brides who were very disappointed when they got their photos/video. Therefore, it is my pleasure to help you on this. I have already emailed you recommendations. Also let me give you a nugget of advice for you my Dear. For an elopement (wedding for two) you may not need a wedding planner or go for a wedding package from a hotel. That may be an unnecessary expense. Some photographers in Bali have recently started to offer packages whereby they also arrange a small intimate ceremony for you. Hello! This blog its amazing! we are planning to have a wedding April-May 2019 BUT I need help! I dont know where to start! That way you can inform yourself about what options are available in Bali. With several hundred possible venues it can indeed be a bit daunting. I shall guide you – no worries. THE COST OF A BALI WEDDING – in that article you will also find a couple of links to other articles that deal with cost and budgeting. I would love to help you further. But to do so you will need to tell me a bit more about what would be your dream wedding in Bali. What is important to you. What environments / kind of venue do you favor. Basically the more you tell me the better. Because that way I can make further recommendations and point you in the right directions. My partner and I are interested in eloping in Bali. We were intially eloping in Italy but were receiving no information back from wedding planners. We would just like a destination wedding. It is just the two of us and we are more interested in going with a Villa rather than a resort. Any information helps, I have no idea where to even begin!!! My fiancée and I would like to have a small wedding, only for we two, on December 2018. Could you send me the options of beach wedding and the prices. My partner and I are looking at getting married in May 2019. We would like a very small affair on the beach, with our two small children and probably 2 close friends and that’s it! Can you send me some info and maybe tough prices for this please? We will likely book a villa for two weeks whilst out there and stay there but then go and get married on the beach one of the days. The only thing we really need is to hire a photographer and sort the ceremony out. Thank you so much for hosting your wedding in Bali. We have already sent you an email with infos on elopement weddings in Bali. Thank you so much – we already replied to you via email. Hi, I am in need of a planner who can show my partner and i beach and clifftop venues when we visit bali this coming September. We are looking to have an elopement with the possibility of a few guests nothing big. We would just like to see the venues you have available before we make our decision. Thank you so much for choosing our wonderful Bali as your wedding destination. I am sorry to advise that under 2000 AUD for a wedding in Bali including the cost for the venue, ceremony, priest / celebrant / dinner / photographer / makeup & hair is not sufficient. It is possible to do it for 2000 AUD, but you will need to make compromises as for the venue and in particular for the photographer. Be very careful to shop at the cheap end. We constantly receive complaints from disappointed couples who went cheap only to find out they ended up with a wedding that did not make them happy. And photography is normally at the top of the list of complaints. Please let me know if there is anything else I can be of assistance with. We are looking to elope ( just me and Partner) in September – What resort would you recommend?